These Small Storage Locker are available on www.buyusedlockers.com where they have a huge selection to choose from if we need additional supplies. These small metal lockers are perfect for younger children or storing smaller items. Make no mistake about it, these are constructed just like larger school lockers, just on a smaller scale. They are strong, durable and a dependable storage solution. Each locker is 12" wide x 12" deep x 48.5" tall and can be secured with a padlock, combination lock or key lock. They include an upper interior shelf, coat rod, and hooks. 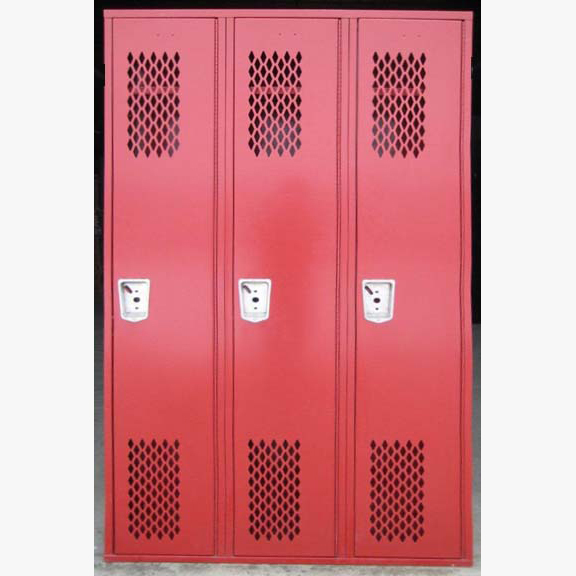 These are brand new stock overrun lockers that have been discounted to an immediate sale.